What happens 27 times every hour? 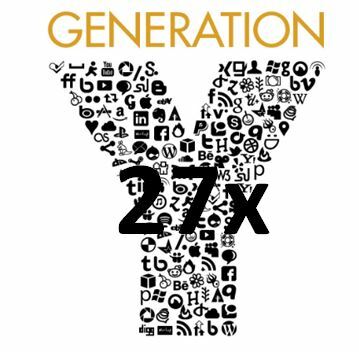 Twenty seven apparently is the number of times an hour a Millenial or Gen Y ( loosely called the ‘young people’ in our lives both at home, school and work ) switch from one media platform to another using multiple devices simultaneously. Put bluntly the art of multi-tasking on a massive scale compared to our earlier experiences of running multiple applications from the same device. I then got thinking that whether 27 is accurate or skewed by geography i.e. the developing nations perhaps are more in tune with this level of frequency because for many the technology boom is on a crest of a wave versus a more stabilized region of the world, or whether costs of acquiring devices limit a persons ability to multi-task on multiple devices. However, quite early I came to the conclusion that whether 27 is the ‘right’ number is sort of irrelevant because its going to be up there somewhere, and as we all know these ‘younger people’ are the workforce of the future. So it go me thinking that, as this wave of people who find the number 27 of events per hour the norm, the impending impact on the IT organization perhaps has not been realised yet for those people who both sit along side the millennial and who provide the IT service. Now when you see these 6 points you may reflect ( as I have many times ) that the corporate world of work must contain all six of these. In fact, if any are missing in a modern IT organization that is expecting to support any world of work initiative, there is increasing pressure not to drop the ball on any one of these characteristics. Now this is a massive step for many IT architects and IT operational people, because it challenges right at the heart of the very heart traditional IT and business productivity. Can you imagine having these six characteristics as the core success criteria to demonstrate in a business case? Or can you imagine designing a service management framework that reports against these six characteristics. or reading a performance report that illustrates current state against each of these.Tough eh? Well the number 27 its coming and its coming fast. And its inevitable. Of course corporate world will ‘fight’ a number of angles to limit the number 27- around security, governance, process and control. Quite rightly in many sectors, business scenarios and environmental conditions. But the smart corporate IT organizations will have seen by now that the ‘cheese has moved’ ,and have introduced transitional programmes and initiatives,that allow these six characteristics to be embraced, deployed, measured and refined. And why is this? Because the world of work is a tough three letter statement. Decades ago it meant the place you went to work, did some stuff, clocked off and went back to the world of social living, families, hobbies etc. We know this has changed and that the New world of work means a whole different set of pressures, opportunities and risks. Now the debate may be that so what if some young person can switch 27 or 100 times an hour? Are they any more productive than the person who happily can plough through perhaps just three or four applications in a well structured and measured fashion? Jury may be out but its coming and its coming fast. The IT organization sitting there watching a huge change in priorities and supply demand challenges may be already looking at the interaction between services they offer and support that exist in multiple cloud scenarios, and how the six characteristics are being played out. Can you imagine being able to demonstrate compliance to the six listed when your email is split between clouds, when your DR is in a third party cloud and your data is in multiple places without any true audit control? And this is just to support those users who only desire to use a handful of applications and services in any given hour. Now imagine 27 times and a user base that has been weaned on total compliance to the six characteristics as almost a human right? Scary? Daunting? Make believe? Scaremongering? or somewhere in the middle? Personally I am a ‘in the middle person’ because quite often change doesn’t happen as quickly as some predict but I am now fascinated by the gap between them and how the IT organization is approaching them. You see the new world of work is already upon us and its a combination of multiple elements that ultimately are heading towards an environment, ecosystem and way of business life that will support 27, 50, 80 or higher of digital switch overs by the workforce of the future. So you have a meeting with a senior stakeholder to discuss your proposition. 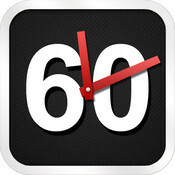 You have 60 minutes. Well done. The background is that the stakeholder is someone you have been trying to meet for several months and following hard work on your behalf you finally have achieved your goal. Well done. The hour you have is precious. The stakeholder is clearly a busy person and the profile you have been given suggests that the conversation needs to be focused, sharp and inciteful. As you consider your approach ( assuming you are someone who prepares for such golden nugget opportunities ) you will go through your options. Whilst you are nervous being in such company you are confident because you are a seasoned commercial or technical person and such meetings have featured heavily in your career. You will have your ‘speech’ prepared, a few stock opening questions and a position statement on the questions you anticipate are going to come you way. Of course your organization sells technology and services so deep down the real outcome for you and your team is to achieve some form of ‘green light’ or acknowledgement from this stakeholder to engage in a business relationship. At this point I have introduced the two words that carry a lot of contention – technology and services. Why? Well in this modern, consumerised world of today our understanding of these words is now enhanced with not only our personal experiences,but also the way we go about our daily working lives. For example. Technology to me is nothing without the experience and Service to me is nothing without the experience. However,too often I have bought, used and tried to fix technology in an attempt to get the experience I expected – both as an individual and as a stakeholder without buying responsibility. Too often I have expected that service would deliver me the experience I expected – whether it me a connection to an application or network, a response to a request for help or a response to a need for best advice when I need to make an important strategic decision. I know when you read these words you will have similar experiences whether as a common citizen or a senior stakeholder yourself. So with this in mind as you approach your one hour stakeholder meeting your ‘kit bag’ of fine words and sentiments, examples of success and offers of true partnership, let me ask you to take a ‘moment of pause’. Close your eyes and consider this. How long in this meeting will you be able to last BEFORE you or any one of your colleagues mention ‘technology’ and ‘service’. Now with your eyes still closed imagine you work for one of the very big technology companies. So you work for Oracle. How long do you think you could talk without mentioning any of these……..Oracle 12c, Oracle Fusion Middleware, E-Business Suite, Sibel, EnterpriseOne or Oracle SuperCluster? What about Microsoft. Could you last any longer without mentioning any of these……Office 365, Windows 8 , Windows Azure Cloud , Microsoft Office, SharePoint or SQL Server? And finally you work for Google. Does their offerings allow you to keep going even longer without mentioning any of these…Google Docs, Google Enterprise Search, Google Apps,Google Glasses and Cloud Platform? Now consider your value proposition. I am sure it is stuffed full with excellent products that Gartner cant help but put into their top right hand quadrants. I am sure your service delivery is second to none. I am sure you have a bucket full of satisfied clients who can testify that your selection of portfolio and partners offers true value even in these hard economic and consumerised times. You may even have a couple of testimonials from independent subject matter experts that are there to nail your sales pitch. Having the nerve to hold a conversation with a stakeholder is really tough. It is very easy to use ‘an agenda’ to bring out all the standard phrases and anecdotes as you work hard to build the relationship you know you need to sell more to the stakeholder’s organization. It is very easy to hang your words on technological waves – cloud, mobile. security and so on – because they are popular and are bound to be on the stakeholder’s mind right now. Perhaps but if the stakeholder is a procurement director, marketing director or Chief Operating Officer perhaps not. You see I maintain that whilst yes technology from all these wonderful tech companies is massively important, and the services that wrap round them to make IT and other functions behave as purposed, the 60 minutes is really meant for a whole different conversation set, and nerve tingling expectation. Oh and one final thing. Close your eyes again and imagine that as you walk in to the stakeholder’s office all prepared and assured you hear these words “I’m really sorry but I only have 90 seconds to hear your pitch……. please proceed”. Success comes in Cans; not Cants – what’s in your CAN? I love this quote. For me its the proverbial ‘acid test’ on things that happen in the every day toil of work and personal life. it often appears in my consciousness; and I hope its always in my sub-consciousness. Sometimes it is a strong experience; others perhaps less so. Its a lovely, yet simple phrase. Excuse the pun but it ‘does what it says on the tin’. 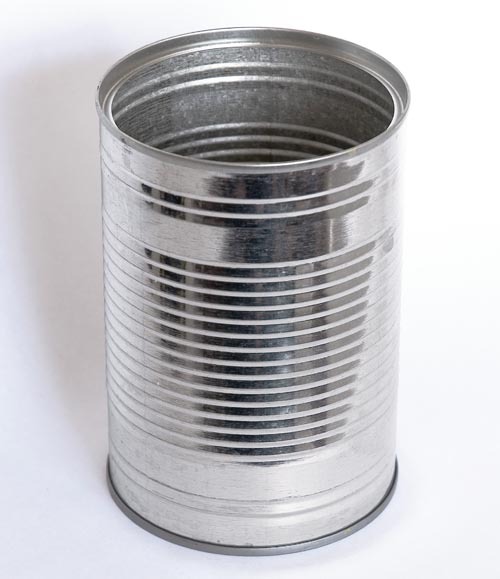 A Can as we all know it a material thing; it exists in material form; it holds things and very often it can keep the contents secure for a long time – cans of soup for example. I jest of course by the way I talk about about the physical representation of a ‘can’ because as we all know the real meaning of the phrase is not about the physicality of a material object, but the attitudinal characteristics of people who want to be successful versus the negative approach from those people who shy away from success and prefer the alternatives. Of course what I have just said is massively subjective and open to wide criticism as the difference between a CanDo attitude and the alternative is often marginal, and open to individual interpretation. Inside the Can I have placed a number of things. Family of course. Loved ones are always part of what makes us all Successful. Attitude comes next. So my beliefs whatever they maybe at that time – hard work, honesty, courtesy, religion, politics and so on ( the list is long ) are in all of our cans. For sure these do change but they are in there somewhere. Then there is Aptitude. Skills I mean. Whether these are emotional, physical or mental our cans are full of them. As we develop our relationships and experiences our can fills up and empties out these aptitudes as we push ourselves. But we always have them in there – sometimes we have to dig to the bottom of the can of course! Friends. These change over your lifetime ( naturally ) but when you look in your can there will be a few friends that are always part of being successful. Perhaps as we get older we make sure these friends are firmly inside the can. Colleagues. Without question to be successful at work you need colleagues in your can. This doesn’t mean anything more than having people you trust. People who perhaps share your vision and drive and determination. In fact with these people in your can it means you are by definition more successful. Now when I walk into a meeting ( with my can ) I look for other people and try and understand whats in their can. Identifying these people reap enormous benefits to ‘get things done’ no matter how simple or complicated. Even with clients. They have the same approach for me. Because you know what? There will be people at work who defer to the Can’t approach. They can’t do something for you. They can’t make a meeting. They can’t give you the information. Perhaps all valid at the time but over time you look for signs of their can and guess what ? you don’t see it. This may be an arrogant statement but I hope you take it for what it is trying to say. Events. Consciously and unconsciously all the events in your life get sucked somewhere in the dark recesses of your can. Experiences good and bad are all about your attitude to certain events as they either re-occur or are about to happen. Using experiences no matter how minor all add up to being more successful and overcome that tendency to say ‘I can’t’. Feelings. Ok so now getting deeper but there are things we all have that we use to make us successful. I will leave it here. Outside the can are the Cant’s. Some of them are very personal and over my lifetime may have been Cans when I was younger ( like being good at golf, being slim and getting sleep at night ) but are now Cant’s as I grow older. Equally there are things that used to be things I would say were Cant’s ( running a marathon or two, standing up in front of hundreds of people and talking, and becoming a father ) which make me proud to say are now Cans. In the world of the corporate IT landscape that I occupy as a career currently, the jockeying between Cans and Cant’s is endless. I always carry my Can with me as I seek out new things to put into my Can as I strive to be more successful. And sure I still pick and drop a few Cant’s as I make decisions on my capability to be successful. It’s a balance and sometimes its fun, and occasionally rather frustrating. Practically its about how you carry yourself in a commercial situation. its about the things you say ( and don’t say ) and how you conduct yourself. And I know this thing – my Can is often shook around as I met new people who impress the hell out of me with their approach to Success Comes In Cans. But you know what? Knowing that I have my Can with me allows me to keep pushing forward to be better at what I do, and what others around me do as well. Its a struggle at times as the world of Cant’s is often a very strong moving force that makes everything look and feel like its all about not being successful. So when I think about a situation I try very hard to reach for my ‘can’ and make sure I have something inside there that I can use to be successful. And if I end up finding myself in a can’t situation ( I do often ) then I sincerely hope I take stock and find a way to move that situation into my can.